Jonathan Helton, Professor of Saxophone at the University of Florida School of Music, is an active solo recitalist and chamber musician appearing in concerts worldwide, including Montreal, Vancouver, Beijing, Singapore, Tokyo, Taipei, Bangkok, Sydney, London, Paris, Bogota, Brasilia, Mendoza, Chicago, Washington, DC, and New York. 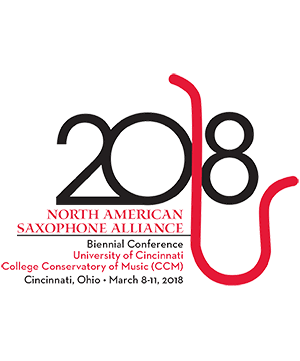 He has been featured on programs of the North American Saxophone Alliance, the World Saxophone Congress, the College Music Society, Wisconsin Composers’ Alliance, Chicago Consortium of Composers, and the New Music Chicago Festival. His performances have been heard on North Carolina Public Radio, on WFMT in Chicago, and in national and international radio syndication. He is featured on compact discs from Centaur, Elf, Innova, Mark Records, Parma, and Music from Northwestern. From 1992 to1999 Dr. Helton served on the faculty at Northwestern University. He is a Selmer Artist/Clinician, and a former President of the North American Saxophone Alliance.